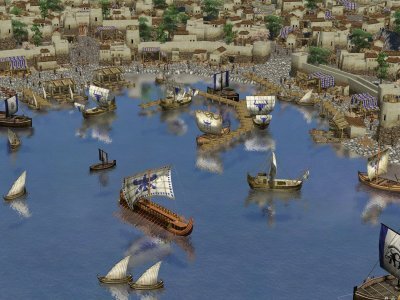 I have written this before, but apart from Duke Nukem, 0 A.D. is probably the longest developed game in the history of digital gaming. Conceived in the age of Age of Kings, not a typo there, 'tis deliberate, the game may hit the markets longer after its lookalike ancestor has died its rightful death. 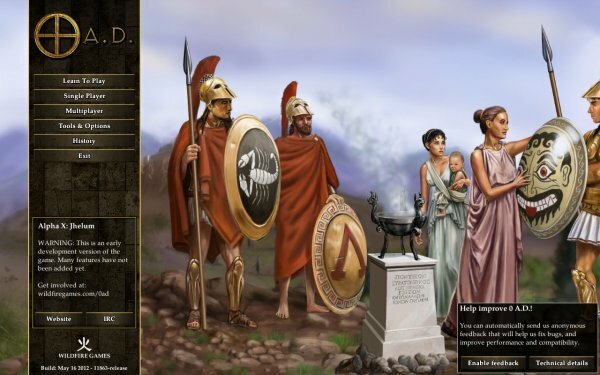 There's a bit of Caesar feel in there, too, at least when it comes to epic graphics, which also shows in the website design. 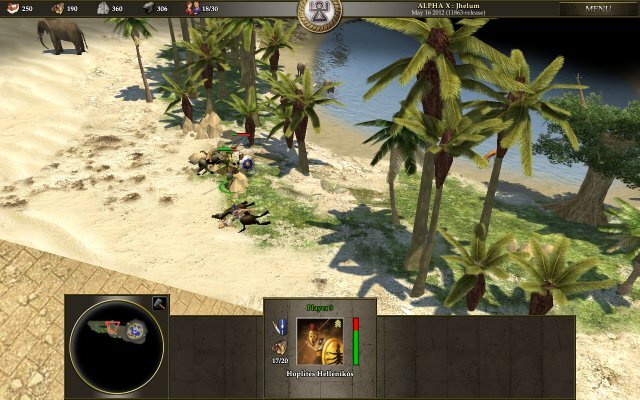 And finally, 0 A.D. aims to become the first real fully fledged open-source and free real time strategy, rivaling the immense and timeless success of openTTD. Now that I've fired all the big names and all that, let's focus on the game. Still an alpha, still not designed and intended for the plebes. I setup the game PPA in my Mint installation and downloaded the roughly 300MB worth of game files, and then fired up the game. Immediately, there's progress. Much better resolution detection, the menus are livelier, the game playable and without crashes. Not bad. So the only thing left to examine is, how useful, involving and interesting the gameplay really is. We checked - Borat voice style. The game opens with a serene main menu where you can provide feedback on the game quality, bugs, issues, and also offer suggestions. 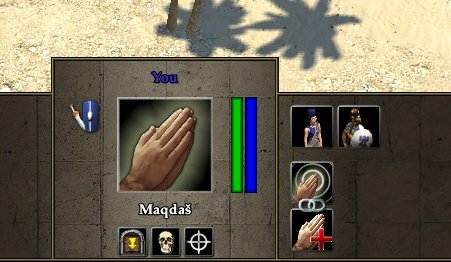 Quite useful when the game is all about the community. But let's look deeper. Some of the menu options are not available yet, but the single player is just fine. 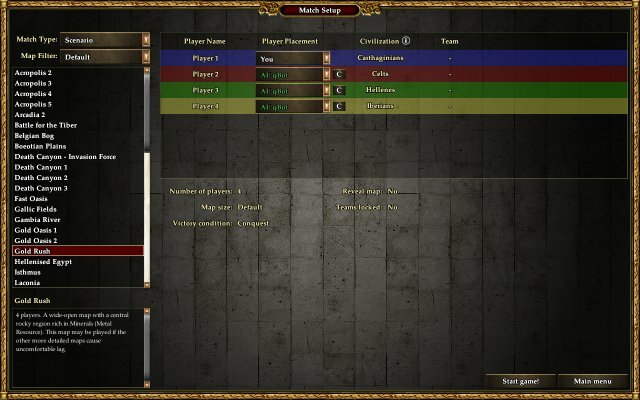 You have a large number of maps to choose, you can select one or more AI players and set their difficulty level, as well as pair teams, if you want. This is quite like Age of Kings II, if you remember that particular title. In fact, like any generic RTS, from the original Dune all the way up to Warcraft and family. But with a touch of ancient class. I decided to play a lengthy first-time game as Carthagians, fighting against Celts, Hellenes and Iberians. 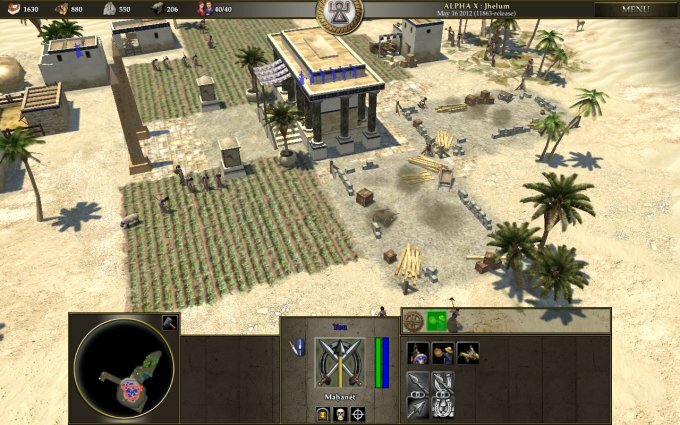 0 A.D. aims at being realistic and fun, so the accuracy of the historic setting, the weapons, the nations are also supposed to be much like they were some 2,000 years back. Now, I cannot vouch how accurate they really are, but they feel fun altogether. The desired effect is achieved, and the game does not feel simplistic or cheap. On the contrary, there's a solid feel of a good, professional product coming about. All that from the first few minutes of acquaintance. 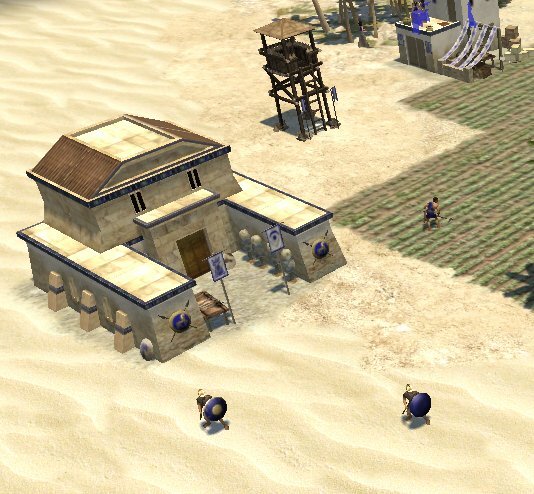 Indeed, like its many brethren and sistren, 0 A.D. is a textbook RTS. You get your town center, your villagers, they start hoarding resources and you slowly progress through civilization levels by meeting certain technology criteria, like the number of different types of buildings created, your resources and more. If you've played any one of these, it's instantly familiar, friendly and intuitive. 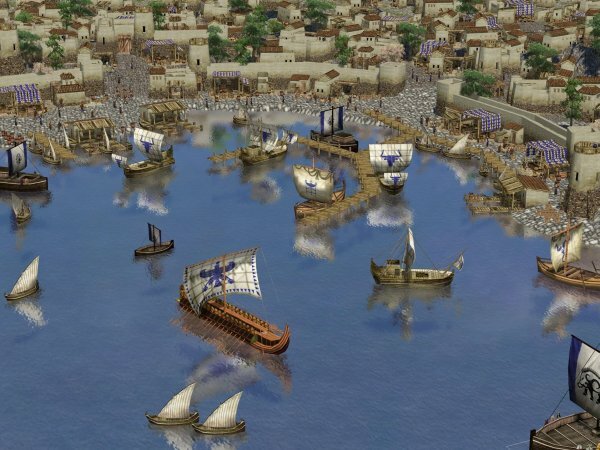 I needed nothing more than 20 seconds of orientation to get in the mood and start enjoying 0 A.D. The aforementioned realism is there. Yup. Don't think you can just take a scattering of lowly soldiers and rush them into combat. They will most likely get killed, so you should work on pimping up your settlement, beefing up the defenses, researching armor and suchlike, before venturing to battle, with decent numbers of warriors. The game is quite nice. The camera can be rotated left and right, up and down, zoomed in, giving you a nice all-around overview of the map. The details are decent, the textures lovely. Now, it won't dazzle you off your feet, but it will run nicely on older machines, and it comes with a 15-year development legacy, and despite that, it does not feel old or ugly. The variety is there, to keep you well occupied. You can breed sheep, mine metals and rock, build farms that will last for quite a while and can be tended by any number of peasants, develop better weapons and tools that will add bonus points to your workers. I played from about one hour straight and did not feel like I was doing a chore, just so I could gather enough screenshots for a review. Far from it, it was a very pleasant experience. I played for a short while, on a single map with a single civilization. That does not sound like much. However, far from it. 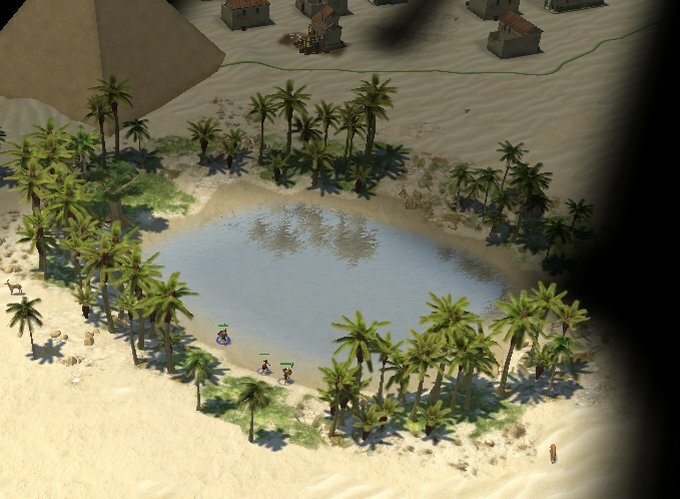 The short exposure left with me a very good, positive impression of what 0 A.D. is going to be when it gets released, and let's hope it's before the next millennium, seriously. The critical elements are all there, a good balance between realism and fun, very decent graphics and moderately light system demands, reasonable stability and feature set for an alpha release, respectable AI, deep and involving gameplay, what else do you need? 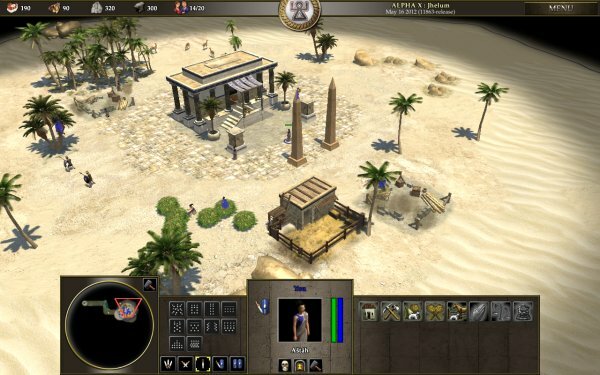 I might have been skeptic once, feeling 0 A.D. was a community echo, a tribute to a great, almost immortal series of games rather than a product of its own. 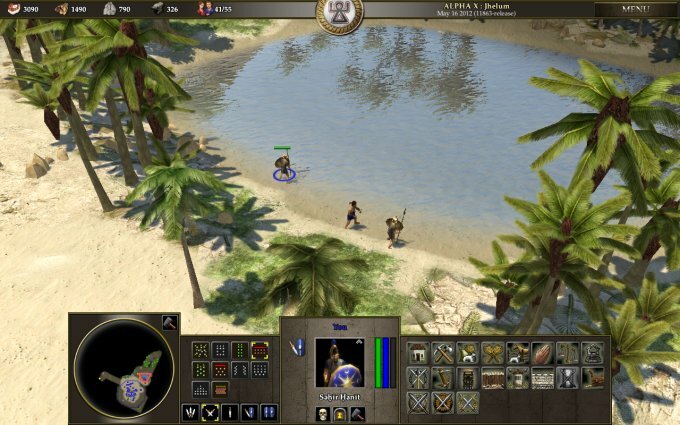 But in the last year, it has shaped up immensely, and it's become something that could appeal to a huge crowd of people, especially classic RTS lovers. 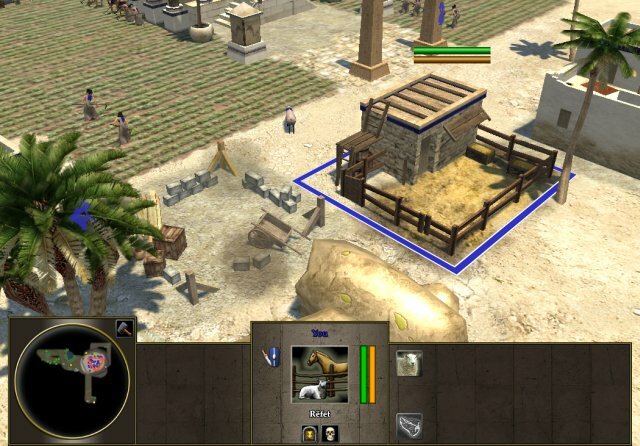 Honestly, and with no underdog sympathy added, 0 A.D. is a cute and fun game. Quite what you want and need. Most importantly, you are left with a taste for more. It's not a one night-stand. The game has depth, the game has continuity. If you play it once, you will play it again. And that's all there is. Will be reviewing more soon. Stay tuned. P.S. The really good-looking images of ships are from the official media kit. Enjoy!